While online advertising has increased in popularity over the past few years, it should not be the only method that you use to get the word out about your business. Traditional forms of advertising still deliver a fantastic return on investment when they are used correctly. In addition to print and TV media, you may also want to consider using radio to promote your business. 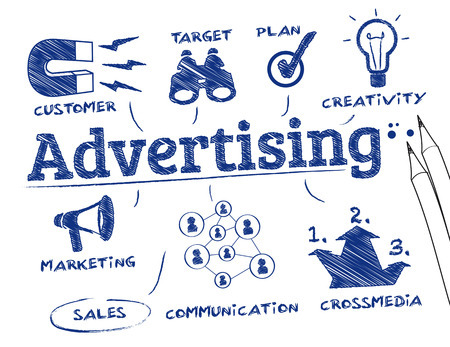 There is a little more involved in getting an ad on the radio than there is in creating a banner and upload it to an online ad server, so let’s take a look at some of the things you need to consider before advertising on radio. If you operate a local business, radio is a fantastic way to reach people in the region that you serve. That said, it’s not just as simple as placing an ad on any local radio station you like. You need to consider your target audience, which means thinking about which stations they are most likely to listen to, as well as when they will be listening. For example, if you sell sporting goods, stations that feature sports talks would be ideal. Some internet users have developed ad blindness, which means that they automatically block out banners and visual creatives when they surf the web. However, it is not easy to ignore ads on the radio when you are stuck in traffic in your car or when you are listening to a talk show that you do not want to miss, even during the commercial breaks. This is why a good radio ad can be very effective, assuming that it is good enough to really stand out. It goes without saying that advertising on radio can be more expensive than running ads online, especially of you are looking to hit the primetime audience on a popular radio station. Primetime on radio is different than on TV, with morning shows and afternoon rush-hour shows being the most listened to by commuters stuck in traffic. Retirees or work-at-home folks on the other hand can listen at any time during a day. Think about your target audience and when they most likely to tune in and choose the station and show that best reach that particular group of potential customers. One of the most effective ways to get your audio-only ad noticed is to add a catchy jingle or slogan at the end of it. Those catchy little nuggets tend to get into listeners’ head, which means that your company is the one that might immediately come to mind when they need the service you provide. You can get a jingle made quite affordably nowadays using micro-gig sites. You should also look at having a website URL that is short and a phone number that is easy to remember. Your ad may have a great jingle and a catchy slogan, but it won’t make a huge impact and people will forget unless it is played on a very regular basis. The most popular songs in the music charts are played all the time on the radio, and while you may not necessarily love a particular song, you can’t help but sing along when it comes on. The same rules apply to your radio ads.